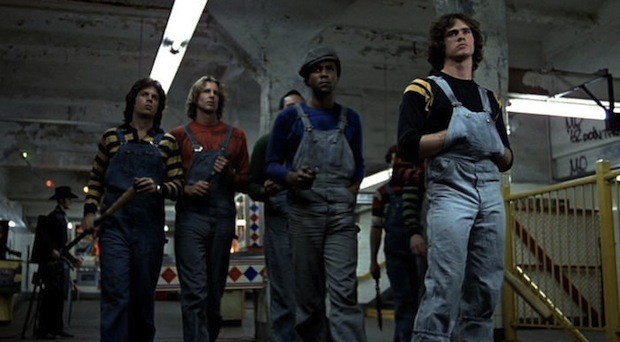 Nearly 40 years ago, writer-director Walter Hill introduced American audiences to a new vision of New York City street gangs with the release of The Warriors. 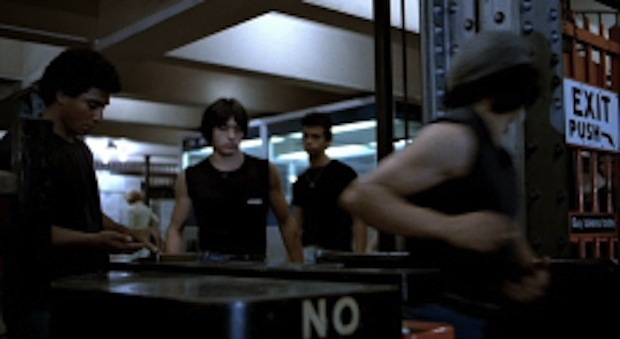 The movie—about a Coney Island gang trying to make it home from the Bronx after being framed for the murder of the city’s most powerful warlord—is a cult classic today. But its initial release in 1979 was surrounded by controversy. 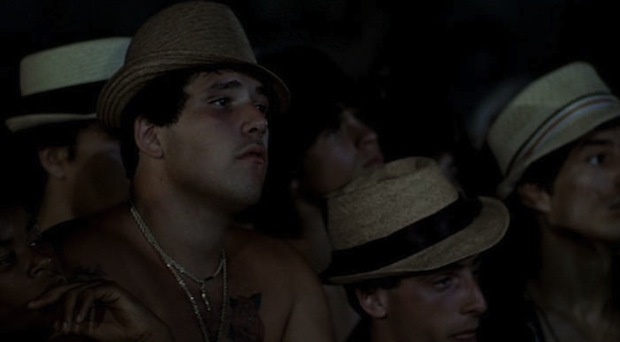 The genre intentions may have been lost on some audience members at the time, but the film has endured. It’s still regularly screened at repertory theaters and a favorite midnight movie. 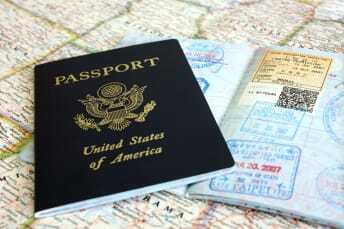 It has also been turned into a comic book series and a popular video game. 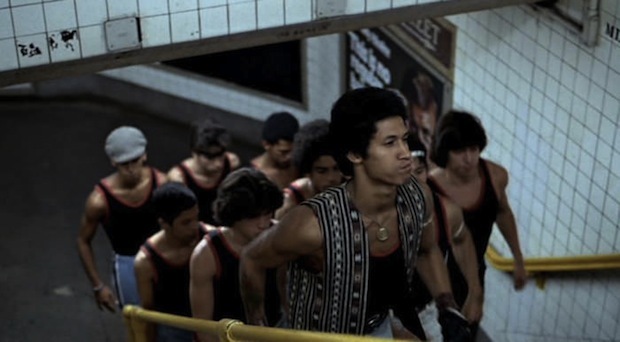 Now, we’re paying tribute to The Warriors’ real stars—the fictional street gangs who assembled for that midnight summit back in 1979. 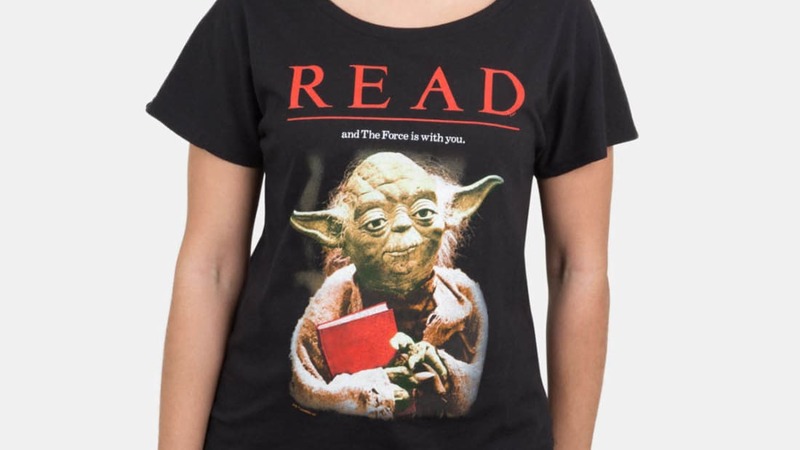 Okay, so this one’s a gimme. 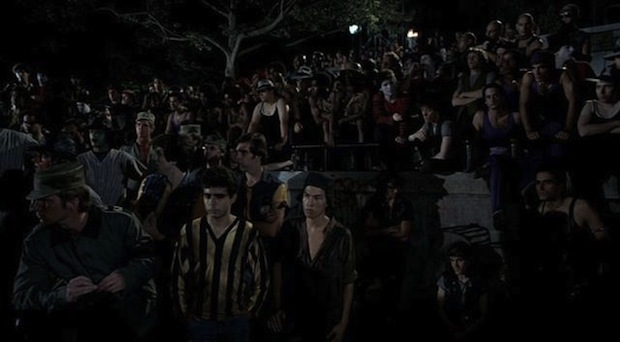 The titular gang from Coney Island set the pace and plot of the film, as they attempt to make their way from the Bronx to Brooklyn after being framed for the murder of Cyrus, The Gramercy Riffs’ leader. Unfortunately for The Warriors, they’re being pursued by the rest of the gangs on this list. The Turnbull AC’s are easy to recognize for two reasons: They’re all bald, and they ride around the city in an old bus. 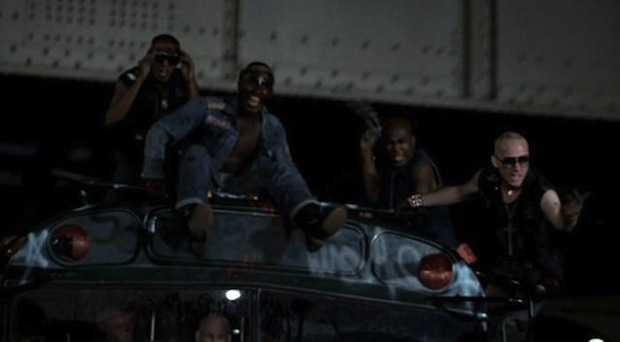 It’s that same bus that the gang uses to try and run down The Warriors shortly after the summit breaks up (the Turnbull AC’s are the first group The Warriors must face off against). 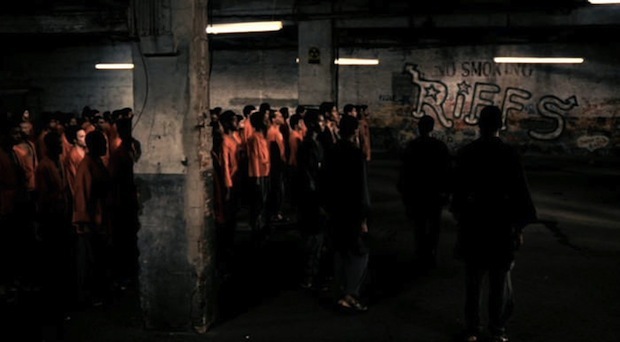 The Orphans, who reside in the Tremont neighborhood of the Bronx, aren’t the most sophisticated of the film’s street gangs. 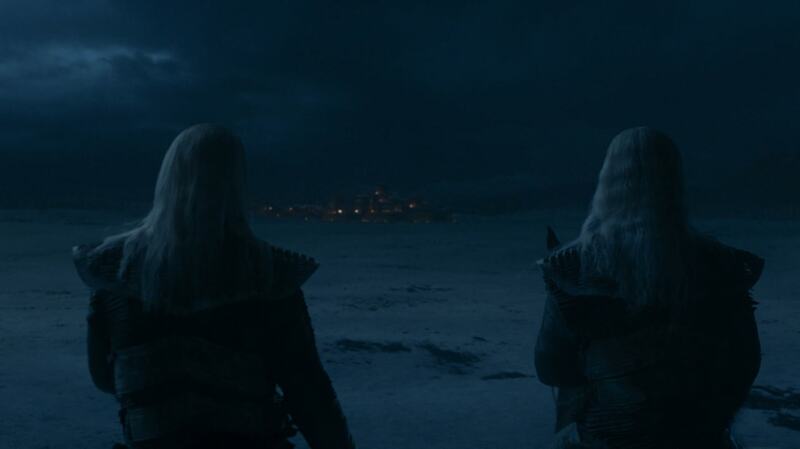 So much so that they weren’t even invited to the summit. As Warrior member Fox says of their reputation: “They’re so far down, they’re not even on the map.” Ouch! Of all the gangs they encounter, The Orphans are the most pleasant, at least at first, and even agree to let The Warriors pass through their neighborhood problem-free. But they change their minds about playing nice when a local girl, Mercy, calls their leader “chicken” for not defending his territory. The encounter comes to an abrupt end when a Molotov cocktail makes an appearance. 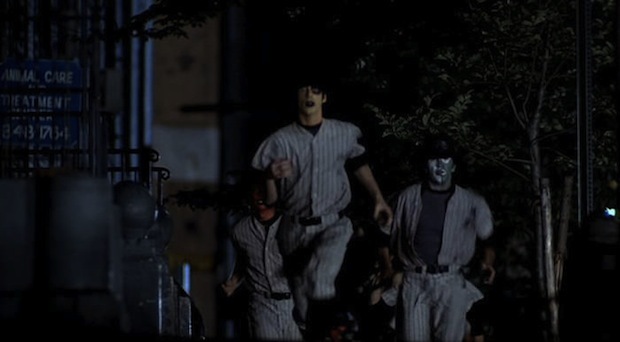 The Baseball Furies take their identity seriously, with each member decked out in a Yankees-style baseball uniform. Which may not seem all that frightening ... until they whip out their baseball bats. The all-girl Lizzies use their feminine wiles to coax three of The Warriors back to their pad near Union Square, and come closer than any other gang to capturing—and killing—the titular crew. Fortunately for The Warriors, the gals don’t have great aim. They’re able to escape relatively unscathed (even if they did need to punch and break a chair over the head of a couple of their female counterparts). We’re not sure what’s so “punk” about pairing denim overalls with a rugby shirt. Or a pair of roller skates. But The Punks do reside in the Bowery, so the name is at least somewhat appropriate. As is the fact that their defeat begins with a can of spray paint. 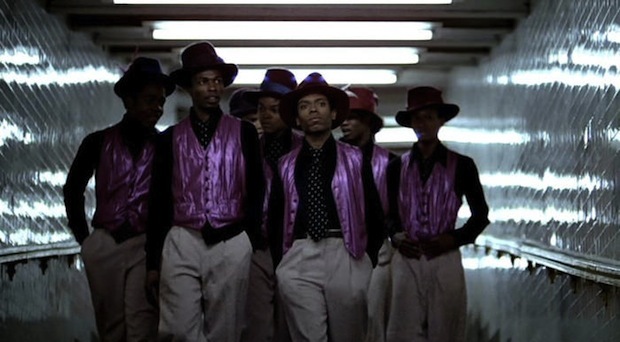 The Harlem-based Boppers look more like a boy band than a street gang to be reckoned with, but they are very much the latter. 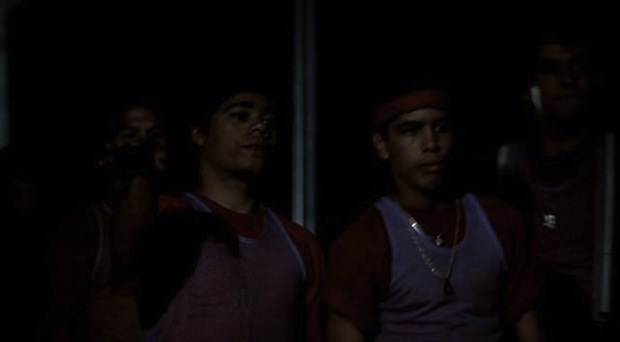 The Boppers’ main rivals are the Spanish Harlem-based Hurricanes, who make only a brief appearance in the film, at Cyrus’ summit. 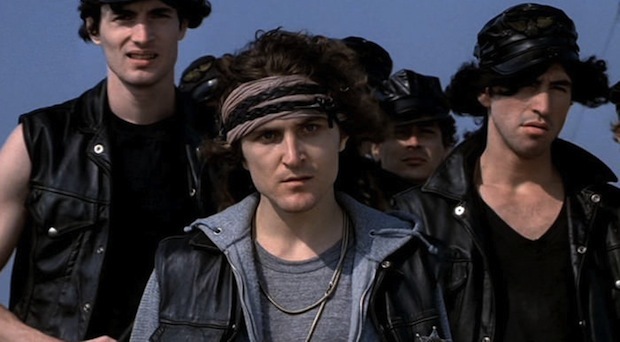 The SoHo-based Hi-Hats might be the best proof Hill has got that he intended for The Warriors to be a fantasy film. 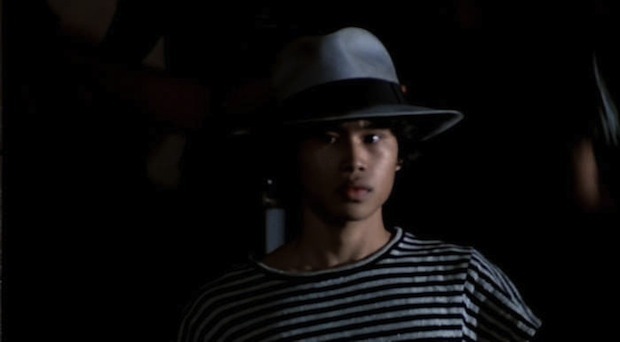 Because clowns are scary, and mimes are not. 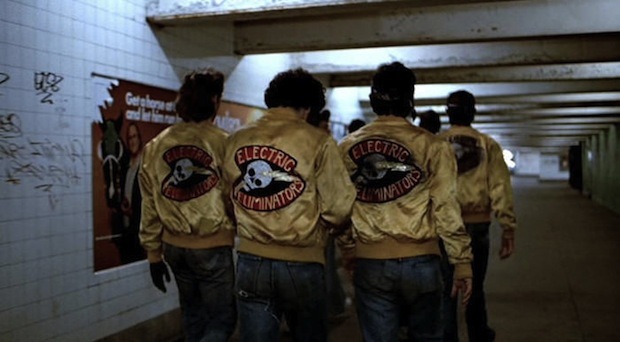 Also based in SoHo are The Electric Eliminators, rivals to the Hi-Hats, who are seen twice in the film: first as they make their way to the summit, in their satin yellow bomber jackets, and later in the confusion following Cyrus’ murder. The Electric Eliminators pal around with The Saracens, who are based in Bensonhurst, Brooklyn. And do a fine job of making black tank tops look intimidating. The Jones Street Boys also hail from Bensonhurst, so they aren’t fans of The Saracens. Their only appearance in the film is at the summit (they’re the bumblebee-looking dudes in yellow and black stripes). 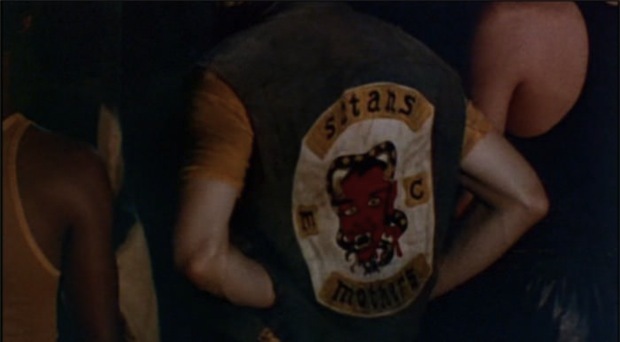 The Savage Huns’ rivals, the Sheepshead Bay, Brooklyn-based Satans Mothers, are the movie’s only motorcycle gang. And apparently not big on possessive punctuation. When it comes to Queens-based street gangs, The Boyle Avenue Runners are it as far as The Warriors goes. The Moonrunners make their way to Van Cortlandt park from their own turf in the Bronx, in Pelham. They may look ready to jazzercise, but their standard issue necklaces—complete with moon pendants—pay tribute their toughness. 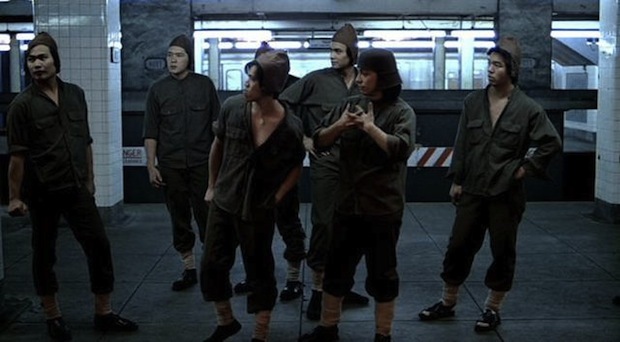 The Moonrunners’ greatest enemies are The Van Cortlandt Rangers, a.k.a. 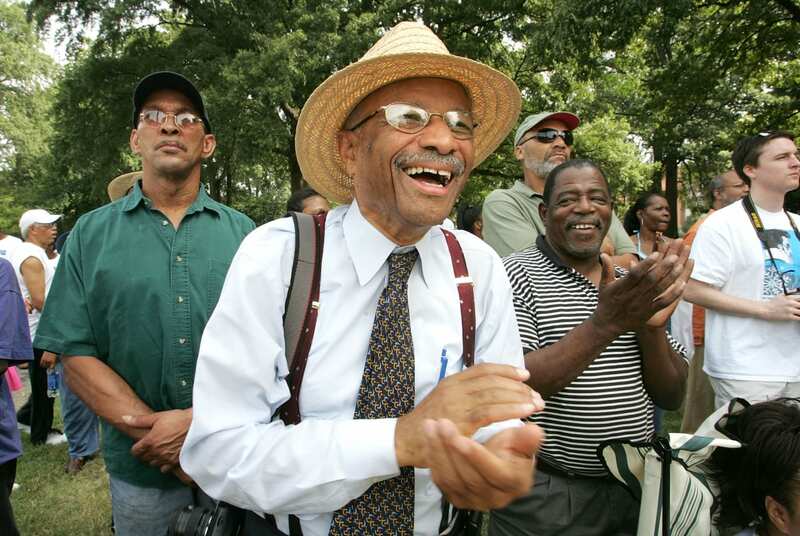 the VC Rangers, whose fedoras match their striped shirts. The Washington Heights-based Panzers are one of the few gangs who look properly attired for warfare. 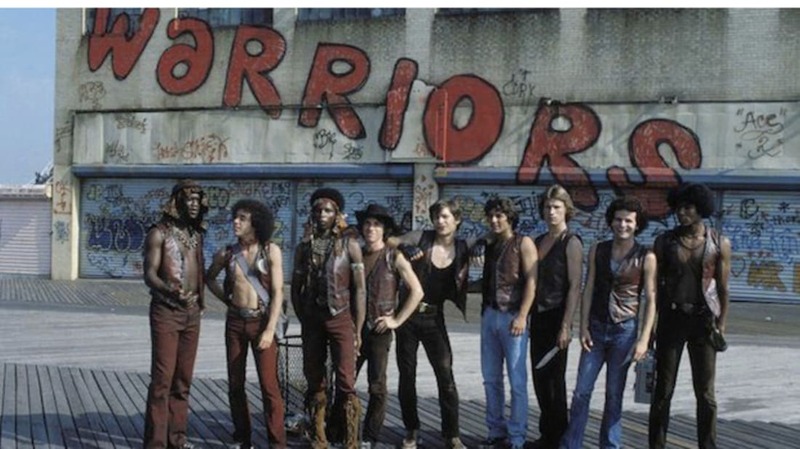 THE DINGOS: The Dingos, a homosexual gang and rivals of The Warriors, did play a part in the original script when they captured one of The Warriors, but the scene was ultimately cut. All photos courtesy of The Warriors Wiki.